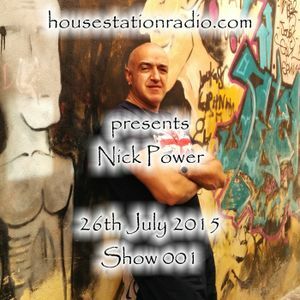 Nick Power - Show 001 - House Station Radio 26th July 2015. Soulful House! Lood, Guido P, Deep Xcape ft Mpho, E-Wonder & JD Smoothe, Circle Of Funk ft Charlene Samms and more. This show was 36th in the global funky chart and 47th in the global uplifting chart. Nick Power presents his 1st ever 1 hour exclusive show for House Station Radio which was broadcast on 26th July 2015. Only the very BEST in Soulful & Uplifting Vocal & Funky House!